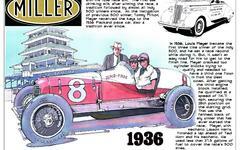 This is an interesting article that focuses on the roles of officials for the first Indianapolis 500. It also provides the names of many of these officials, which is not always easy to find. This article was published in the May 30, 1911 Indianapolis Star.